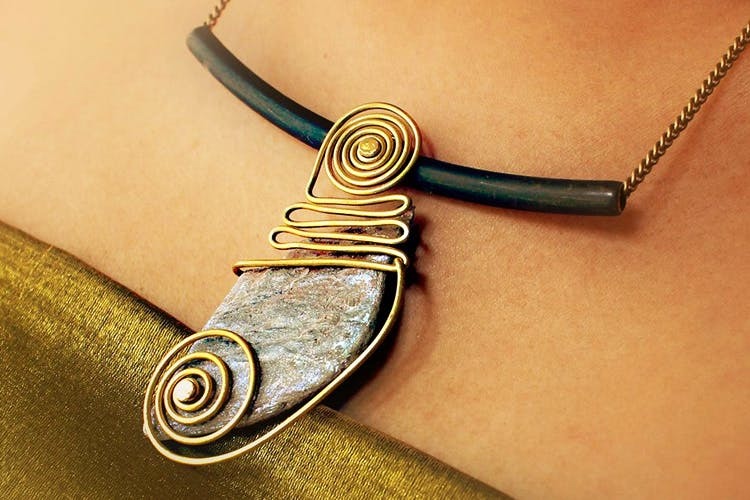 We found awesome in Wandering Whites, a brand that makes pretty jewellery from stones, collected from various places. Gaury Pathare, the founder of Wandering Whites, married stones with metal and founded Wandering Whites. Handcrafted jewellery with each piece containing a story to tell, the brand was showcased at Lakme Fashion Week and garnered rave reviews. Gaury travelled to Spiti, Sangla Valley, Leh, Dharamsala, Hampi and Khajjiar and collected a piece of the place with stones and then, turned it into jewellery. The collection starts at INR 2,000 and the idea, well, priceless. The jewellery looks spectacular and if you’ve always been offbeat with your fashion sense, add one more obscure brand to your list.